I have always been an avid reader of literature, insatiable in my appetite for new stories, but also revisiting beloved favourites to dwell in their familiar geographies. This was not just simple entertainment – too often did I spend days agonizing over conflicts the characters were caught up in and thinking about the lives of characters I cared about. The literary stories I read blended into how I understood the world around me. As such, I can relate to enthusiastic readers like Rebecca Mead, who describes in her mixture of memoir and literary criticism, My Life in Middlemarch (2014), how the constant re-engagement with her favourite book, George Eliot’s Middlemarch, throughout the years helped form her outlook on personal relationships. Not only memoirs, but also works of literature frequently highlight the magic of reading. As a literary studies scholar, I am now also a professional reader, but seek to bridge the often deplored divide between professional and lay reading by concentrating on issues of reader response and the cultural functions of literature. In Lloyd Jones’s novel Mister Pip, the first-person narrator, Matilda, describes Dickens’s Great Expectations in terms of a protective home she could inhabit and how reading this novel from a different culture and time generated moments of self-recognition and empathy regarding the people around her in Bougainville. The novel thus illustrates how literature matters to the way we live our lives, how we imagine home spaces, fashion our identity and perceive others. In my article, I explore the connections between literature and homemaking by concentrating on the role literature plays in forging specific types of subjectivity that are linked to idea(l)s of home rooted in power hierarchies. I apply this focus both to the level of characters and to the level of reader response by asking how reading or engaging with Mister Pip encourages specific practices of the self and homemaking in the ‘real’ world. I became interested in the topic of home not only because of the attraction that this emotionally and ideologically charged key cultural idea continues to exert on individuals but also because of the ways in which it influences our notions of community on larger scales. As scholars such as Alison Blunt and Robyn Dowling emphasize, home cannot be reduced to a physical structure because home is suffused with an imaginary element. Representations of home in works of fiction play a vital role in shaping this spatial imaginary with manifest effects. Ideals of home are bound up with mechanisms of exclusion: whom do we imagine as (not) belonging to home spaces? Reading Mister Pip with its depiction of how Matilda’s notion of home and communal life is tested and recalibrated through her response to Great Expectations may encourage readers to think about what kind of books they read as a child or young adult and the ways in which these stories affected their thinking about home. In my case, a classic of children’s literature, Frances Hodgson Burnett’s The Secret Garden, belonged to my all-time favourites when I was young. Back then, the vividly conjured up blossoming garden in rural England became a part of my imagined ideal home. Rereading this book as an adult was a sobering experience as I only then became aware of the blatant racism pervading this literary representation of an English home. If storytelling is a crucial means for creating meaningful places and fashioning the self, then it is well worthwhile to take a closer look at the ideological implications of the kinds of home and selves created in and through literature. I was drawn to Lloyd Jones’s bestseller Mister Pip not only because the novel is a great read, but because it offers an intriguing case study for exploring the interplay between literature, practices of home and the self against the backdrop of neo-colonial power relations – both within the fictional world and in the extratextual world. Given that literature is one important means for disseminating idea(l)s of home, my interest in the interplay between literature and home extends to the status of literary works in the global market place: whose work is published and marketed and whose voices are (not) prominently represented? The research questions I have sketched here invite a transdisciplinary dialogue between literary studies and other disciplines, especially anthropology. 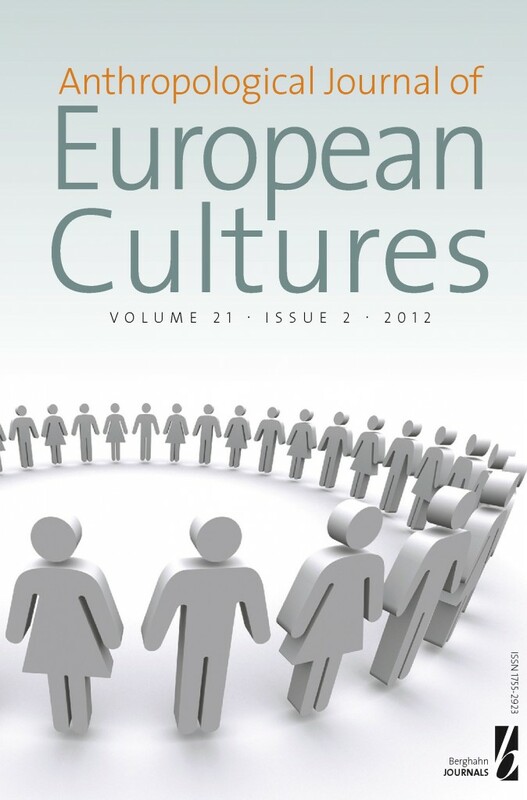 CLICK HERE TO READ STELLA BUTTER’S ARTICLE IN ANTHROPOLOGICAL JOURNAL OF EUROPEAN CULTURES. TO GET A FREE 60-DAY ONLINE TRIAL OF THE JOURNAL, CLICK HERE. « Join us at AAA2014!